Reactoonz Slot - Top Payout of 4,570 Times your Bet! Reactoonz from Play ‘N GO is more of a cascade type game than a traditional slot, even though it does employ some slot features. 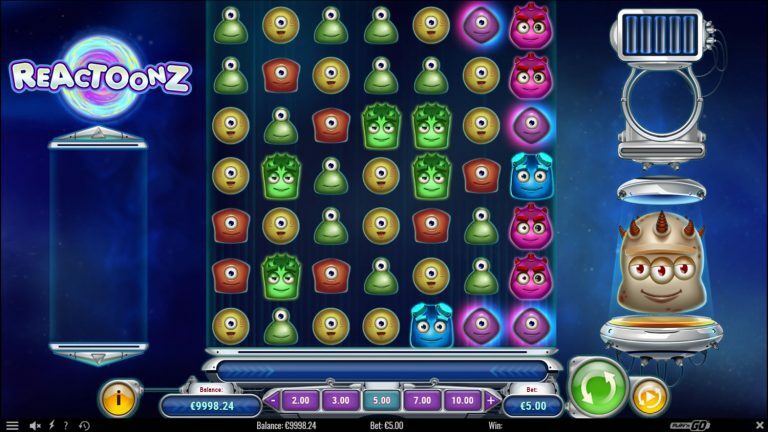 The theme of Reactoonz is an alien themed game loaded with cute aliens as the symbols and is packed with plenty of features and opportunities to win. If you’re an “old-school” slots player, there is some learning curve to this cascading slot, but once you grasp the concepts, you will spend many hours being entertained. Let’s blast off and take a deeper look at this fantastic game. From the moment you open Reactoonz, you will notice there is a main playing interface being a 7×7 grid that combines cluster pays and cascading ones. On either side of the grid are various containers and the quantum meter. You will specifically notice the Gargantoon, a giant sized, 3-eyed alien, but more about that shortly. The imagery is very average and ‘cartoony’, however their random animations make them cute and adds some more charisma to the game. The sounds are exactly what you’d expect from a cartoon alien themed game and are well matched to style of the characters. The basic premise of the game is to get 5 or more matching symbols that are touching each other vertically and/or horizontally. With each winning combination, the winning symbols disappear, leaving room for new symbols to fall into the vacant positions and potentially create new combinations. Each time a combination is formed, it gets displayed in the container on the left of the screen. The round ends when no more combinations, or any features that have been triggered, can no longer form more combinations. During regular gameplay, at random, with any non-winning spin, the Gargantoon triggers the instability feature and drops 4 to 8 wild symbols onto the grid, to try help you form combinations. Reactoonz has 8 regular symbols, all being different aliens, with the highest paying being a purple punk looking alien and the lowest is a yellow cyclops ball. There is also a wild that looks like a swirling purple and blue vortex. The main character of the game is the 3 eyed Gargantoon with horns on its head, however it will only appear on the grid when the Gargantoon feature is triggered. Take note, that when 4 symbols form in a square (2×2) they transform into a Giantoonz, a giant version of that symbol, which takes up all 4 spaces. Any combinations formed with a Giantoonz has a X2 multiplier. Reactoonz is no regular game, so its bonus is far from regular. The real action of the game comes with the Quantum Leap features. During gameplay, each winning combination adds power to the Quantum Leap container, forming a colored ball of energy. Once the ball reaches its maximum size, it gets stored (queued) in the tubes above. Up to 4 Quantum features can be queued. Charging up a fifth time will activate the Gargantoon feature, but more about that in a moment. Once there are no more regular combinations the queued Quantum Features begin, providing 4 variations. Implosion – 3-6 random symbols on the grid are transformed into wild symbols, plus they destroy all adjacent symbols. Incision – A wild symbol appears in the center of the grid, and 2 diagonal lines forming an X run through the grid. All the symbols in the X transform into the same symbol, thereby creating various combinations. Demolition – All one-eyed aliens are destroyed plus all matching symbols. Alteration – A random, one-eyed alien, and all matching symbols, transform into another symbol. The Gargantoon feature occurs if the Quantum queue becomes fully charged for a fifth time. In this case, a 3×3 wild will appear randomly on the grid, followed by a 2×2 wild symbol, and then by 9 individual wild symbols. As you can imagine, this doesn’t occur often, but when it does, get ready for some ‘out of this world’ wins! 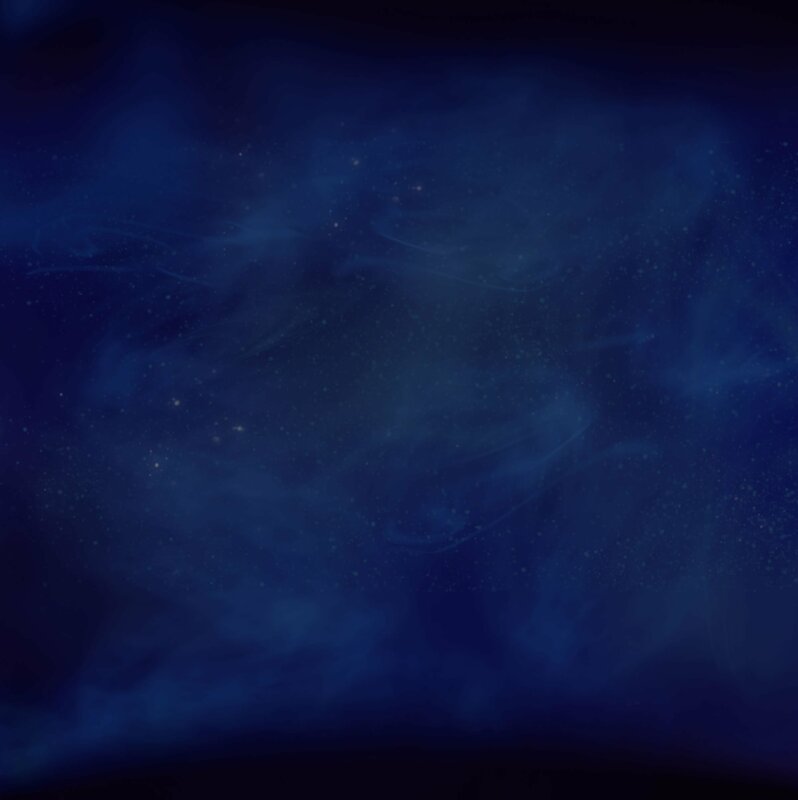 Reactoonz doesn’t have free spins in the way we know it with other slots, but as we’ve established, Reactoonz is far from a regular slot and has plenty of other rewarding features. Reactoonz does not offer a specific jackpot and is also not linked to any type of progressive jackpot. Your big wins come from the accumulation of the combinations and the features playing out. The top payout is 4,570 times your bet. As we established, Reactoonz is a 7×7 grid, so there are no paylines, however you can adjust your bet amount per game, ranging from 0.20 all the way up to 100.00 per game. Reactoonz has an RTP of 96%, which is fairly standard. Reactoonz has high volatility, so don’t be expecting to break the bank on your first turn. Despite the regular Quantum features, they don’t always payout as much as you’d expect, and getting the Gargantoon feature does not occur often. However, like any slots jackpot, when the ‘big one’ comes, you will be smiling from ear to ear. It takes a few minutes of playing to start grasping all the concepts and how Reactoonz works, but once you do, the level of enjoyment sky-rockets. Reactoonz is a great slot (if we can call it that), that is a refreshing break from the regular slot reels. Overall, the game play is fast and smooth, and the abundance of features keep you reeling for more. If you’re up for trying new games with new features, then you should definitely give Reactoonz a try.